You would think anyone who wanted to run for the Senate would be a person who, though originally, might have had one opinion, would be flexible enough to see that their original thought or opinion was wrong and then reconsider things in light of evidence, right? Not Elizabeth Warren. No matter the amount of evidence available, she refuses to admit she has no Indian ancestry. In my personal opinion, it is a scary thought to have someone like that in Congress because it shows they don't care about the truth. They want what they want, and nothing else matters, not even facts. Here is another fact to add to the Elizabeth Warren family tree. Her uncle Travis, her mother's brother, was white too. 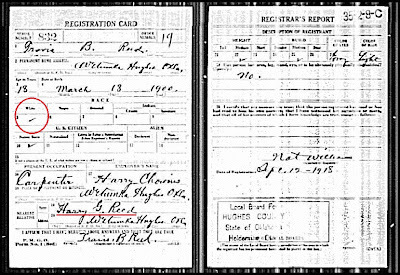 He is shown as white on his World War I Draft registration card as white. 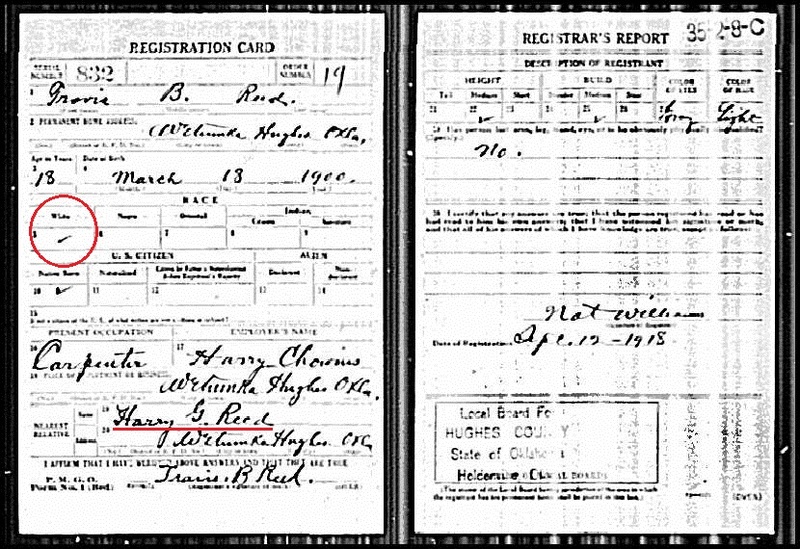 I have lost count of the number of documents we have found her ancestors listed as white, but I remember how many we have found that listed them as Indians - ZERO! Elizabeth Warren, stop the lies and apologize!